Train your mind. Train your body. Brandon WilliamsCraig Sensei Ph.D., 5th dan, founder and Chief Instructor of Free Aiki Dojo. 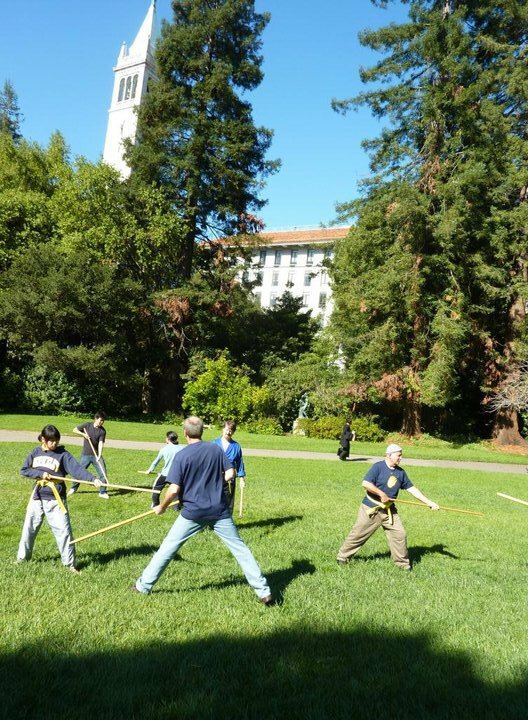 through traditional Aikido instruction and Martial Nonviolence™ training on and off campus. at Aikido of Berkeley - 1514 University Ave.
in cooperation with the ASUC and local non-profit Association Building Community. Young, old, tall, short, physically gifted or not so much, aikido is at this moment helping more than one million people around the world improve their balance (physical and emotional), take the danger out of falling (literal and metaphorical), and learn to do conflict of all kinds well. 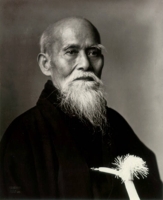 This was the vision of founder, Morihei Ueshiba (pictured here) and is now in progress in and beyond dojos around the world. 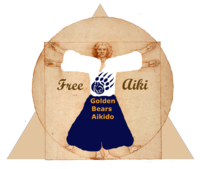 Aikido is an effective martial art, somatic awakening and trauma recovery practice known around the world as the Art of Peace because firm gentleness with opponents is taught from the very first lesson and in every techinque. This practice may be learned by young children and continued into extreme old age and, when extended beyond the dojo and into daily life, suggests principles which can transform everyday conflicts into learning opportunities where nobody becomes a victim and justice without retribution becomes not only possible but practicable. Brandon WilliamsCraig Sensei began his Aikido training in 1990 and has trained continuously since. He is the chief instructor for Free Aiki Dojo and Golden Bears Aikido at UC Berkeley, and is an Assistant Instructor at Aikido of Berkeley. Brandon began studying aikido with Russ Alvey Sensei, came to California to be uchi deshi from 1995-1997, became a student of Kayla Feder Sensei, Founder and Chief Instructor of Aikido of Berkeley, in 1998 and was most recently promoted by her to the rank of 5th dan in 2016. He trains with a wide variety of internationally renowned teachers and was the founding curator of the Aikido Archives at ITP/Sofia University. 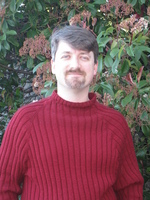 Brandon created, teaches, and practices a conflict facilitation and community building method called Martial Nonviolence, and served as Executive Director of an international peace organization based on Aiki principles, called Aiki Extensions, before being asked to serve on the Board of Directors. Brandon Sensei has been a professional actor/director, co-founded and directed the non-profit Association Building Community, and continues to consult within businesses and teach both children and adults in well regarded educational institutions. In addition to his aikido study, he holds a humanities Doctorate in psychology and mythology.